While traditional braces are a time-tested way to straighten and align crooked teeth, the appearance and maintenance required is often not ideal. At Tenn Yuk Orthodontics, we offer Invisalign® clear braces to offer a more convenient and discreet alternative to achieving a straight, beautiful smile. Located in Palm Beach Gardens in Southern Florida, Tenn Yuk Orthodontics is led by certified orthodontist Dr. Kevin Tenn Yuk. Contact us today to schedule a consultation and find out if you are a candidate for Invisalign® clear braces. A more modern approach to straightening teeth, Invisalign® involves a series of custom-made, clear aligners that gently and gradually shift your teeth into place depending on the treatment plan created for you by Dr. Tenn Yuk. Every few weeks, a new set of aligners will be created for you in order to accommodate the movement of your teeth. In addition to providing discreet teeth straightening, Invisalign® only requires a checkup with Dr. Tenn Yuk every six weeks or so, and the aligners only need to be worn for 20-22 hours per day for timely results. Nearly invisible treatment. While wearing Invisalign®, many people may not even notice the aligners on your teeth. Convenient treatment plan. Unlike traditional braces that require frequent trips to the dentist, Invisalign® often requires fewer appointments. Comfort. The discomfort of having wires in the teeth and the pain that comes with tightening them is a source of anxiety for many patients. Invisalign® offers a comfortable, “barely there” feeling with no painful wires or tightening tools. Health. While brushing and flossing can become a tedious and often challenging process with traditional braces, Invisalign® can simply be removed for daily oral hygiene. While Invisalign® can provide comfortable, easy teeth straightening for many adults, it is not for everyone. Depending on the severity of your individual case, Invisalign® may not be an effective solution. During your consultation with Dr. Tenn Yuk, your teeth will be thoroughly examined and we will help you determine if you are a good candidate for Invisalign®. It has been proven by the American Dental Association that having straight, properly aligned teeth can maintain the overall health of your mouth as well as create an easier environment for cleaning. Those who do not qualify for Invisalign® may have other treatment plans recommended to them. 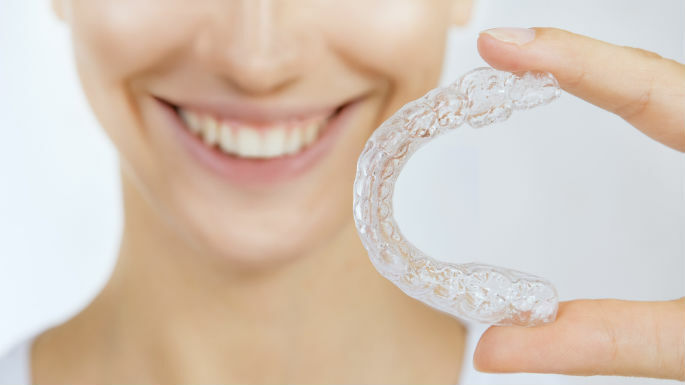 Contact Tenn Yuk Orthodontics today to schedule a consultation and find out if Invisalign® can help create a straighter smile for you.